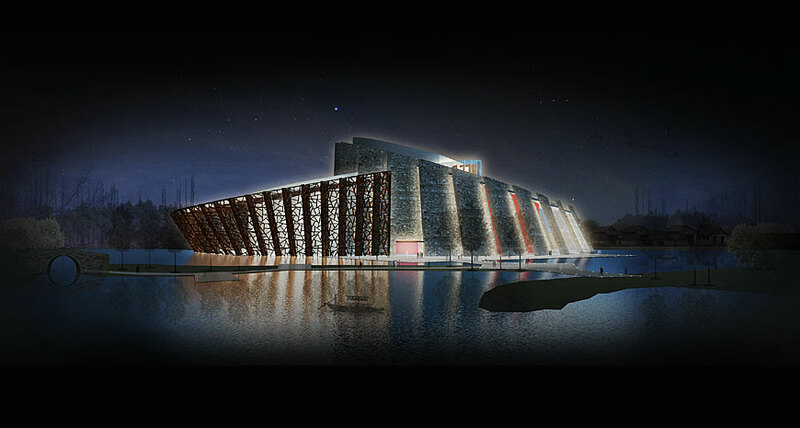 For the creation of the Wuzhen Theatre Festival, Wuzhen made an immensely generous investment in the construction of Wuzhen Grand Theatre, designed by renowned architect Kris Yao and completed after three years of construction. It contains one floor underground, and seven above. 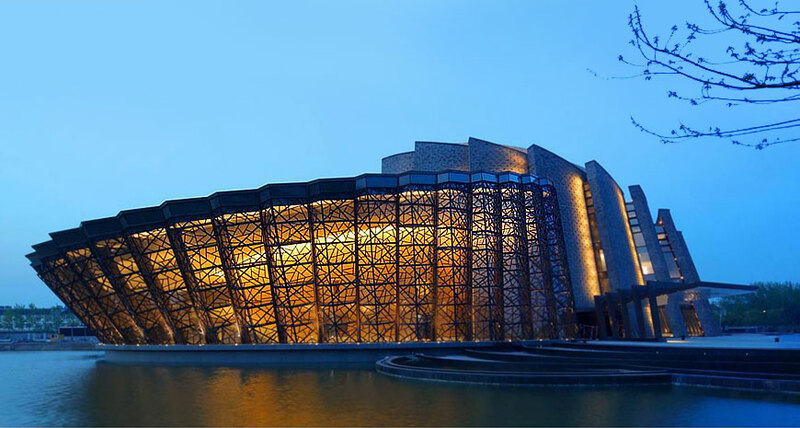 Located near the entrance of the Wuzhen West Scenic Zone, the Grand Theatre covers an impressive 54,000 square meters next to Yuanbao Lake, where an enormous glass front glows through the Chinese window motif in the evenings and reflects on the water to striking effect. 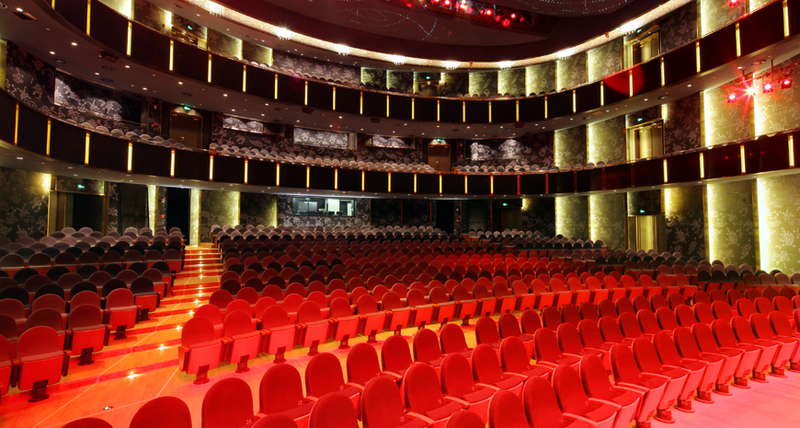 When not used for the Festival, the building’s state-of-the-art theatres host a variety of performances and other cultural events. 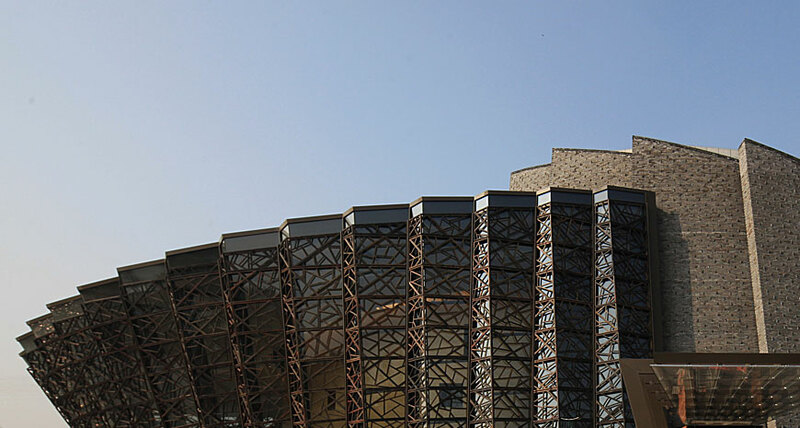 As an architectural masterpiece, Wuzhen Grand Theatre integrates cultural characteristics of Northern and Southern China, as well as local elements. 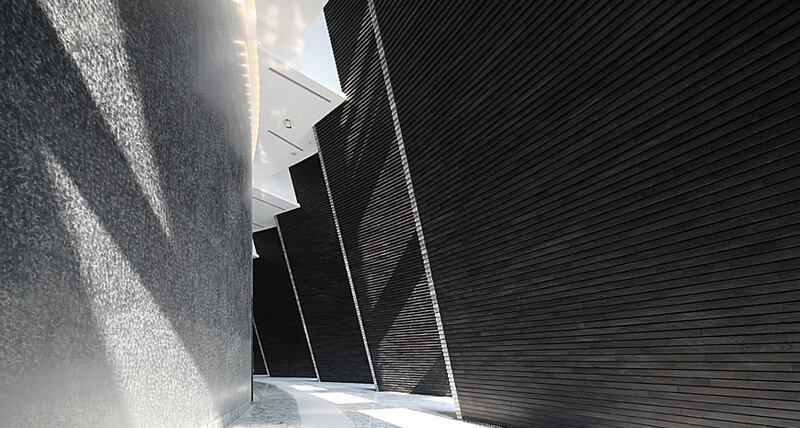 The exterior features oversized, ancient “bricks” in hues of slate; and a thick, downward-sloping wall made up of petal-like segments. Based on the culturally auspicious “double lotus,” the building encompasses one large and one mid-sized theatre back to back. These are separated by an ingenious removable soundproof wall, so they can be used either together or independently. The smaller of the two theatres—the charming, flexible Studio Theatre—seats 200-300. 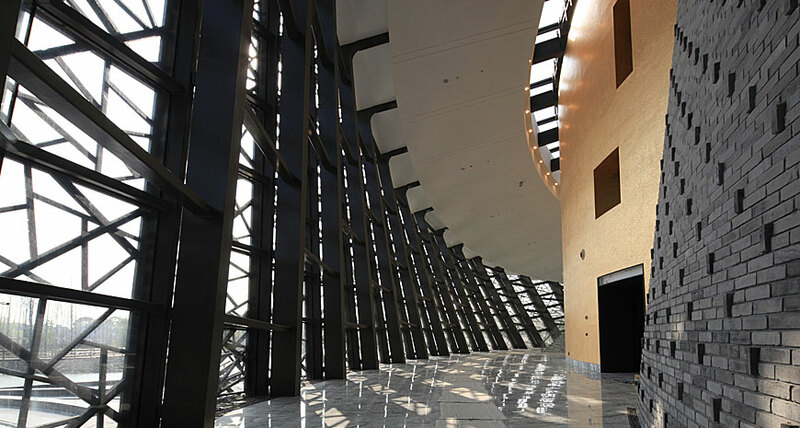 The core performance space is the Wuzhen Grand Theatre stage, with over a thousand seats on three levels, and theatre boxes on the second level. The walls are covered in a lovely flower pattern from Wuzhen’s own signature silks. The majestic Wuzhen Grand Theatre has quickly become a landmark, and is often referred to as the most beautiful large theatre in China. It certainly promises a pleasant theatre-going experience.